Bob Dylan’s 70th birthday will be celebrated in words, music, and pictures with a talk and performance by Dylan author Seth Rogovoy and an exhibition of rarely seen photographs by Ken Regan, one of very few photographers given behind-the-scenes access to Dylan since 1966, as part of the Music & More Series at the Meeting House in New Marlborough on Saturday, September 24, at 4:30 p.m.
(NEW MARLBOROUGH, Mass.) – Bob Dylan’s 70th birthday will be celebrated in words, music, and pictures with a talk and performance by Dylan author Seth Rogovoy and an exhibition of rarely seen photographs by Ken Regan, one of very few photographers given behind-the-scenes access to Dylan since 1966, as part of the Music & More Series at the Meeting House in New Marlborough on Saturday, September 24, at 4:30 p.m.
Rogovoy, an award-winning music critic, will present a multimedia program based on his book, Bob Dylan: Prophet Mystic Poet, followed by a Dylan tribute concert with his band, the Rolling Rogovoy Revue. 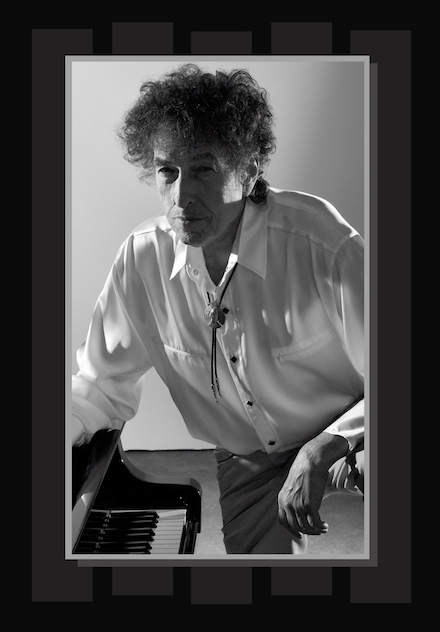 Immediately following the concert is a reception in the Meeting House Art Gallery with photographer Ken Regan, who has photographed Dylan over the course of three decades – including the fateful day in 1975 that Dylan and company spent at the Dream Away Lodge in Becket, Mass., with Joan Baez, Arlo Guthrie, and others. That year, Regan also toured with the Rolling Stones, and the next year he was on hand to shoot The Band’s farewell concert, The Last Waltz. Regan also shot George Harrison’s landmark charity benefit, Concert for Bangladesh, for which Bob Dylan came out of seclusion to perform. He worked closely with renowned concert promoter Bill Graham, and he was the main photographer for such historic rock events as Amnesty International, Live Aid, and others. Regan has over 200 magazine covers to his credit; has worked in film and TV; has been a photojournalist specializing in politics (with a longstanding relationship with the Kennedy family) and war (including Vietnam, the Persian Gulf, Bosnia and Iraq), and has documented famine in Africa, poverty in Harlem, and gold mining in Brazil. He also specialized early on in sports photography, particularly boxing. Rogovoy’s multimedia program will include a combination of spoken word, digital imagery, recorded and live music, and rare video footage, all based around Rogovoy’s critically acclaimed biography, which examines Dylan’s life and work from a unique perspective. Of the numerous books written about the rock poet, Bob Dylan: Prophet, Mystic, Poet is the only full-length treatment that explores the deep and profound Jewish context and roots of Dylan’s life and songs. Rabins is internationally known as the leader of her indie-rock band, Girls in Trouble, and as a member of the Yiddish/klezmer ensemble, Golem, and a founding member of the trad-rad folk group, The Mammals. “I’ve been listening to Bob Dylan religiously (pun intended) since I was 14 years old,” Rogovoy said. “I was struck by the raw honesty of his singing, the directness of his lyrics, and the beauty of the music. 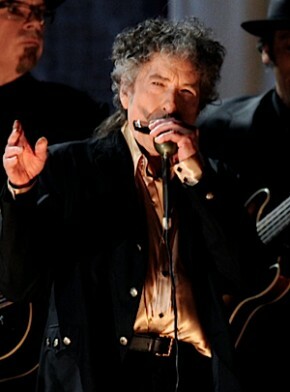 To complete the celebration, the Meeting House Art Gallery will simultaneously exhibit a series of photographs by Ken Regan, one of the few people to ever hold the title of “official Bob Dylan photographer.” Regan, a well-known photojournalist who captured everyone from Muhammad Ali to the Kennedys, took some of the most iconic photographs of Dylan’s live performances in history. Moreover, Regan had unrivaled behind-the-scenes access, which allows rare glimpses into the personal life of the fascinating and notoriously-private musician. The exhibit runs from September 24 through October 2 (weekends only). Tickets to the Bob Dylan Celebration cost $25/$20. Students with ID and children with parents are admitted for free. Visit Music & More or call 413.229.2785 for tickets, discounts and information. Enjoy a 10% discount for a post-concert dinner at the historic Old Inn on the Green (rated “Best in the Berkshires” by Zagat) just next door. Call 413.229.7924 for reservations, which are required. Directed by Harold Lewin and in its 20th year, Music and More was founded with the goal of bringing a diverse and distinguished group of authors, musicians and films to the Berkshires. This year, Music and More is comprised of eight events at the historic Meeting House in New Marlborough, Mass. Visit Music & More or call 413.229.2785 for further information. Music & More is sponsored by the New Marlborough Village Association.